St James’ Court Hotel on Buckingham Gate offers a number of dining options, one of which is Bistro 51. Contemporary in design but somewhat subdued in taste, Bistro 51 serves a contemporary European menu. The hotel is part of the Indian owned Taj Hotel Group, one of the largest hotel chains in the world. As such, the menu also includes a number of Indian-inspired dishes. We dined from the Chef’s special menu which is priced at a reasonable £30. 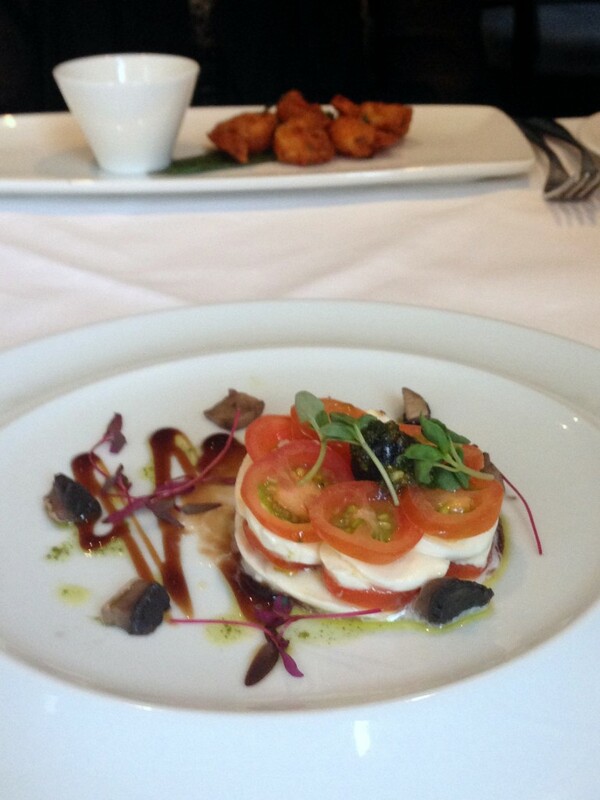 We started with a boccocini and cherry tomato tian with pickled portobello and pesto which was pleasant and tasty. The mellow flavour of the bocconini with the sweetness of the tomatoes was a lovely pairing, with the pesto providing freshness to the dish. From Houston I headed to San Antonio, a city famous for its basketball team the Spurs, the site of the Battle of the Alamo, and the beautiful San Antonio Riverwalk. 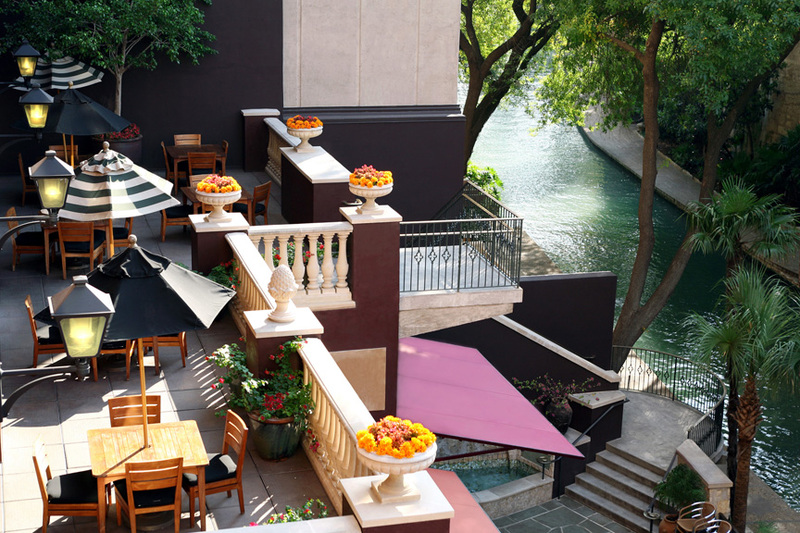 The Riverwalk is a gorgeous network of walkways that run for about five miles along the banks of the San Antonio River and is a showcase in first class architectural design. It is lined with bars, shops and restaurants and connects a number of the city’s tourist attractions and forms an important part of the city’s urban fabric. San Antonio is a city filled with a quirky irresistible charm and an effervescence that is surprisingly delightful. Perched right in the centre of the city with views overlooking the Riverwalk is the Hotel Valencia Riverwalk, a boutique hotel listed on Condé Nast Traveler Gold List of World’s Best Places to Stay. The hotel is a beautifully proportioned hotel, romantic in its essence and unique in its design. The rooms are stylish and spacious, and comfortably appointed with luxurious furnishings which allowed me to perch my head for a wonderful night’s sleep. To round off our recent Amsterdam visit, we had a really pleasant meal at the quirkily named 5&33, in-house restaurant of the Art-Otel, the hotel where we chose to call home for two nights while in Amsterdam. 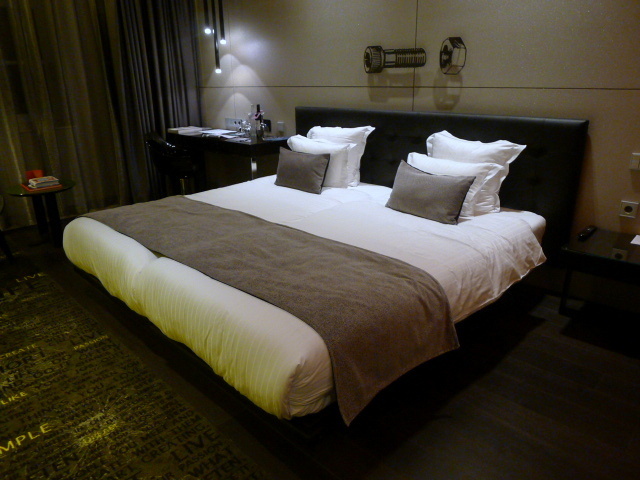 The Art’Otel is located in the heart of Amsterdam and only minutes away from Amsterdam Central Station. Given its great location, Art-Otel was well placed for the many attractions of Amsterdam such as the Royal Palace, the canals, the Jordaan district, Dam square and many other popular attractions. But it wasn’t just the location that was great, but also the hotel’s innovative art house design. The Art’Otel offers a slick, contemporary experience, and it’s funky décor saw the Art’Otel win the Best Hotel Design 2013 Award by VENUEZ magazine, one of Netherlands’ leading hospitality magazines. Gowings was an Australian department store chain that specialised in men’s casual clothing and camping gear. Opening in 1868, it became an Australian institution with its iconic ‘Gowings’ building on the corner of Market and George Street, Sydney. Sadly Gowings went into administration in 2006 and so Gowings the department store is no more. Today, TopShop occupies the ground floor space that was once Gowings. 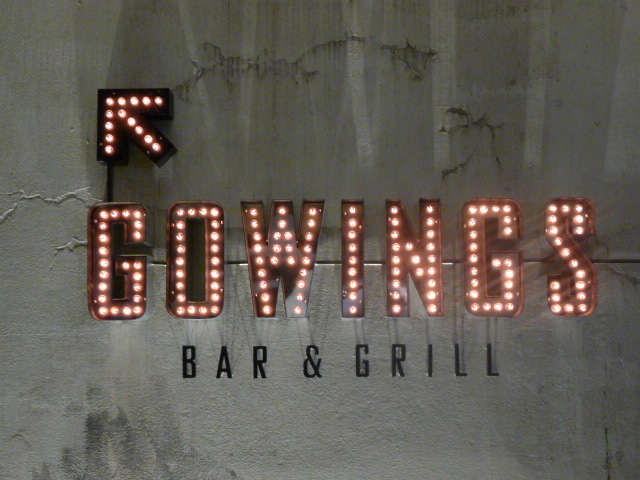 However the name continues to live on in the guise of Gowings Bar and Grill which is part of the QT Hotel. Gowings Bar and Grill is neatly perched above TopShop and is styled as a contemporary European brasserie with an edgy modern design. The restaurant holds a One Chef’s Hat as awarded by The Sydney Morning Herald’s Good Food Guide. The menu features a selection of raw fish, chilled crustaceans and salads, as well as rotisserie birds, wood fired oven cookery and steaks from the grill. An Italian Restaurant aptly named 5 Pollen Street previously occupied the address of 5 Pollen Street. The cooking was good, but the portions were miserable and the prices were exorbitant. I remember my meal there as being one of the worst value-for-money that I had ever had in my life and I left the restaurant feeling wracked with guilt that my friends had to fork out so much money for so little. It is therefore unsurprising that the restaurant closed down last year. On a Saturday night not long after I had eaten at 5 Pollen Street, I walked past it to discover that it was bordering on empty. Clearly, the restaurant had gotten its pricing formula wrong. But it has now been taken over by Jason Atherton and converted it into a charming French bistro endearingly named Little Social. 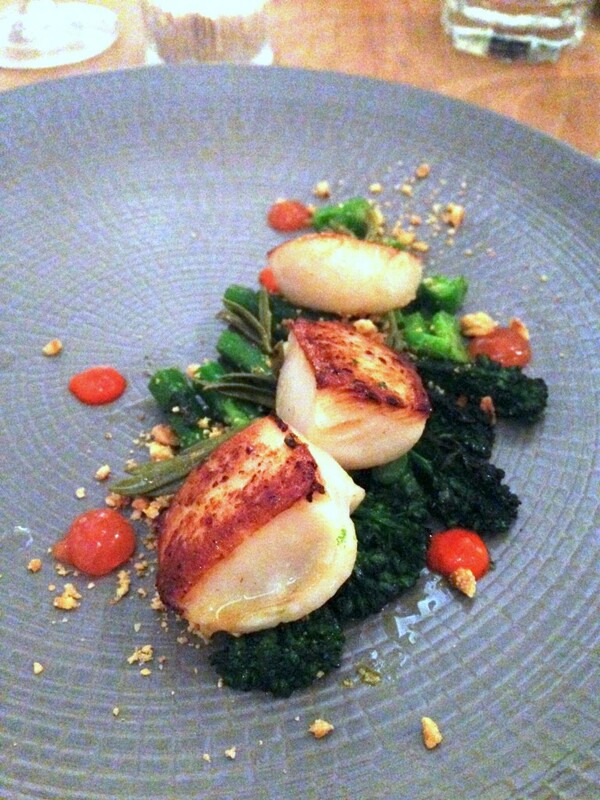 Little Social sits across the road from Pollen Street Social, Atherton’s flagship restaurant that he established after leaving Maze and the Gordon Ramsay fold. Pollen Street Social registers on the upper end of the scale. It’s fine dining through and through with a one-Michelin star to boot. 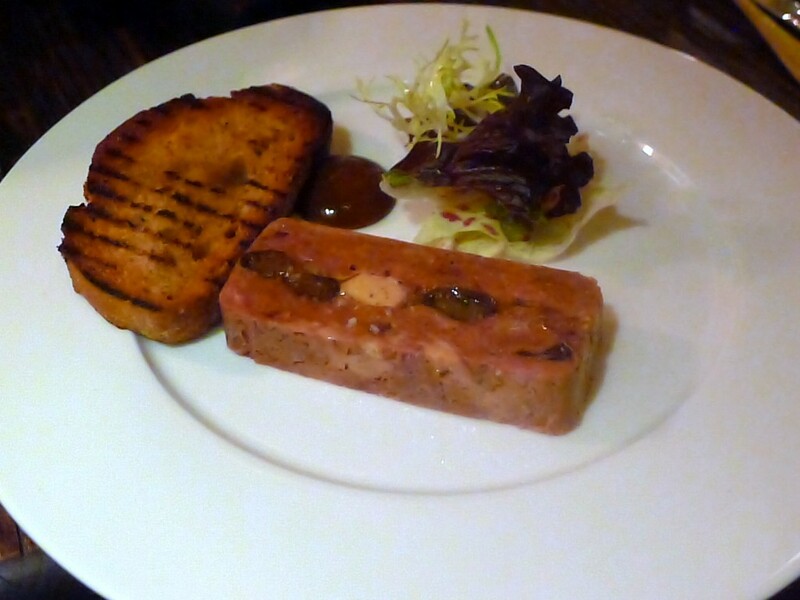 A pork head and foie gras terrine starter (£11.50) packed a meaty, rustic flavour, but was also strangely a little tangy. The piece of foie gras holding centrepiece in the middle of the terrine was delicious, but meanly portioned as it was quite small. In fact, the slice wasn’t particularly generous. 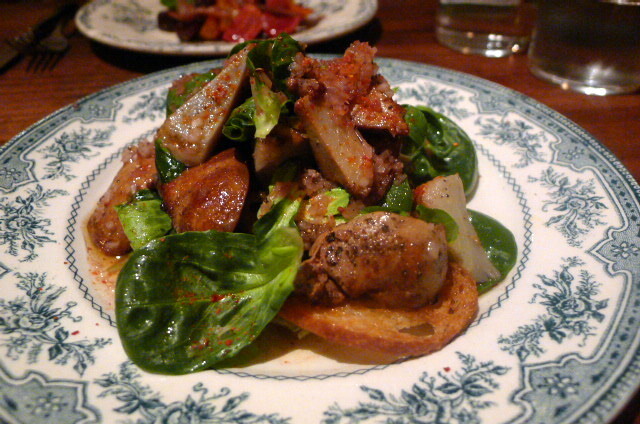 The tea and prune purée was a good match for the pork, and the sourdough was springy and tasty if a little burnt. 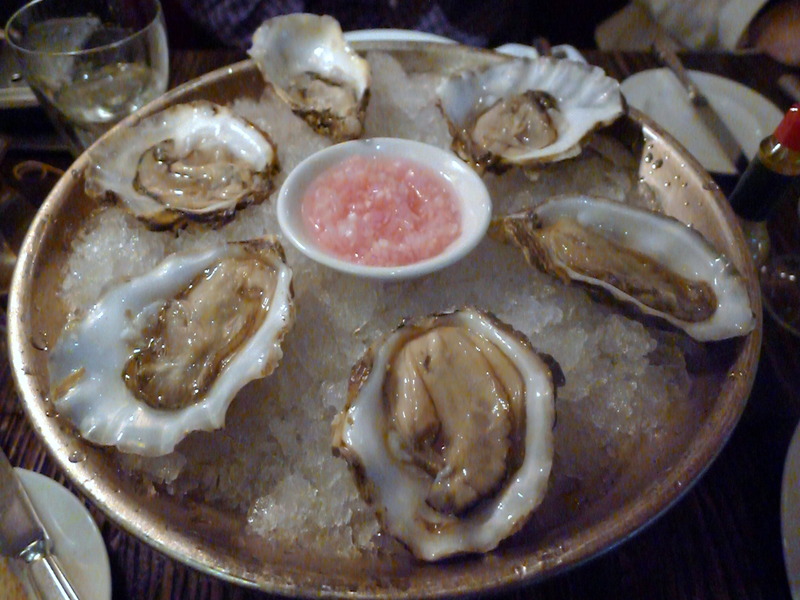 As our second starter, half a dozen oysters (£15) from Cornwall were fresh and delicious. The Blue Boar Smokehouse & Bar is a newly opened restaurant and bar that forms part of the also newly opened Intercontinental Hotel on Tothill Street in Westminster. The Blue Boar’s décor is understandably very five-star hotel-esque – there’s lots of strong oak panelling throughout, and it has been styled to cater to the suits working around the corner at the Houses of Parliament. Being a smokehouse, the menu offers smoked meats such as pulled pork and pulled lamb shoulder, charcoal and wood grilled foods, plus a range of starters and desserts. On Sundays there is a special brunch menu, which for £45, you can eat as much as you want from the feasting table (salads, seafood and meats), plus unlimited Bloody Marys, Bucks Fizzes and tea or coffee. In addition to this you can choose a main of your choice. 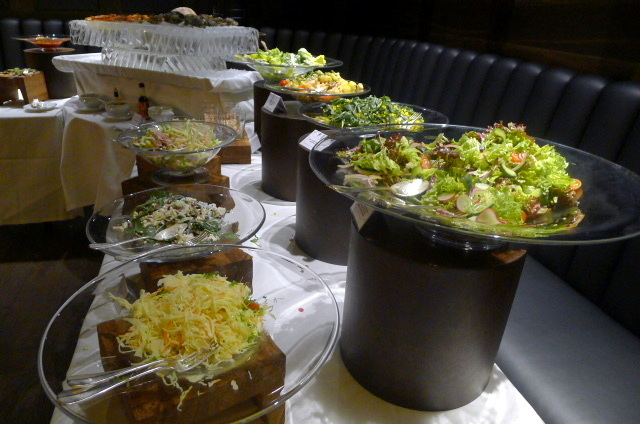 It was the Sunday Brunch that we sampled, and there was a really good range of salads such as smoked feta cheese, with shaved fennel, pomegranate and toasted pistachios; Caesar salad; and hot smoked Scottish salmon with a Niçoise garnish. They were all nicely done, but the best of the lot was a smoked chicken with Granny Smith apple that was great. The chicken was very tasty and moist, and the combination with the apple really worked.